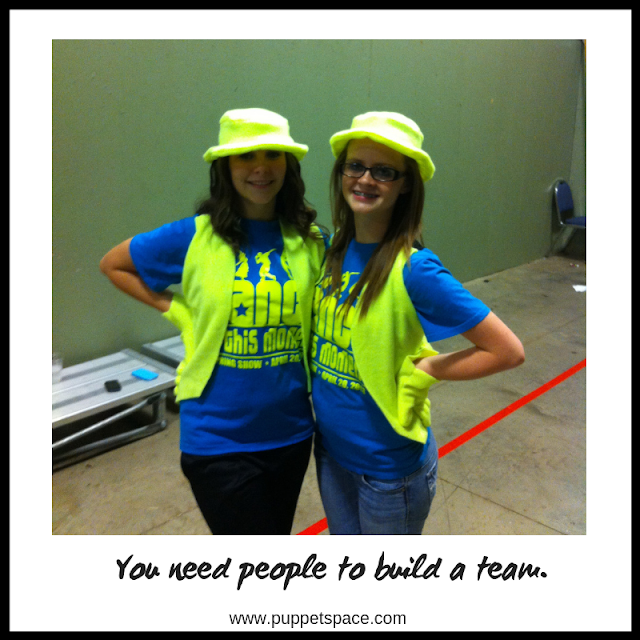 Our team consists of students who are in 6th grade or above. You can go younger if you like and even have adults. Your team dynamic is up to you but this is what works for us. I wouldn't recommend going younger than 6th grade because this is taxing work at times and they need to have some maturity to handle it. Even the older kids have a hard time sometimes. I have had teams as few as 8 and as many as my current team of 19 members. More members can mean more challenges, but it is doable with a lot of planning. I have an application system that the kids fill out before becoming a member. Don't be surprised if some quit after a while when they find out there is more work involved than they thought. After years of experience, I can usually tell who will last and who won't from the start but I give them the chance to try. Sometimes, I am pleasantly surprised. The application includes a list of what is expected, their testimony, their gifts, talents and interests. A parent signature is also required. Parents must agree because they are transporting the students to and from practice and shows. You may even ask for a reference or two if you don't know the student well. You can see a copy of what our application looks like here. I love reading these applications! It makes them think a little, it's a good exercise for them to think of their faith as their own and not their parents. and it shows me where their interests lie and what skills they already possess. Just a little side note from experience, make sure your team members are okay with being completely blacked out, wearing a hood and all black with the lights off, and in tight spaces behind stage. Some students may suffer from anxiety and you need to be sensitive and understanding. Not all who join will be a good fit. 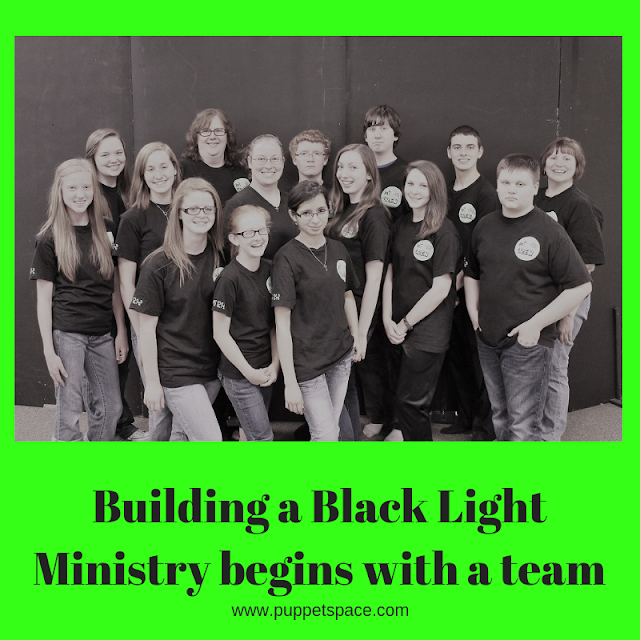 Now that you have begun recruiting your team, let's move on to the other things you will need to start a black light ministry.